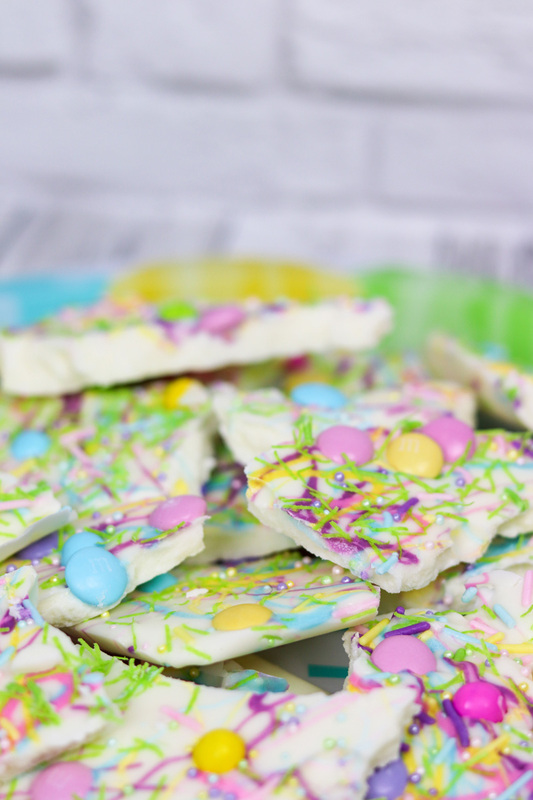 Bright, colorful and delicious Easter Candy Bark is simple to make and is a fun treat for gift giving or simply to enjoy yourself. And we’re back! Welcome back to Easter Week, a round up of some pretty amazing and delicious recipes just in time for the upcoming holiday. Christie of A Kitchen Hoor’s Adventures is our wonderful hostess and she has brought together a group of talented bloggers who are sharing recipes that will hopefully help inspire your Easter menu. We got started on Monday, and I shared these Easter Mini Chocolate Rum Cupcakes. Don’t forget to check back Friday of this week for the final round up of some fantastic recipes! 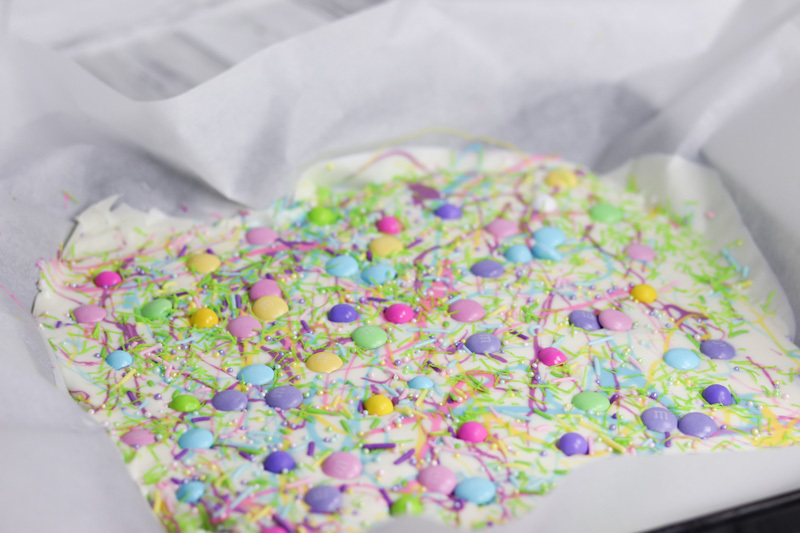 Candy bark is one of those super easy recipes, that can kinda be made any way you like. I think that’s why we tend to make it for almost any holiday. Plus it looks so fun and festive and to be honest, really pretty. 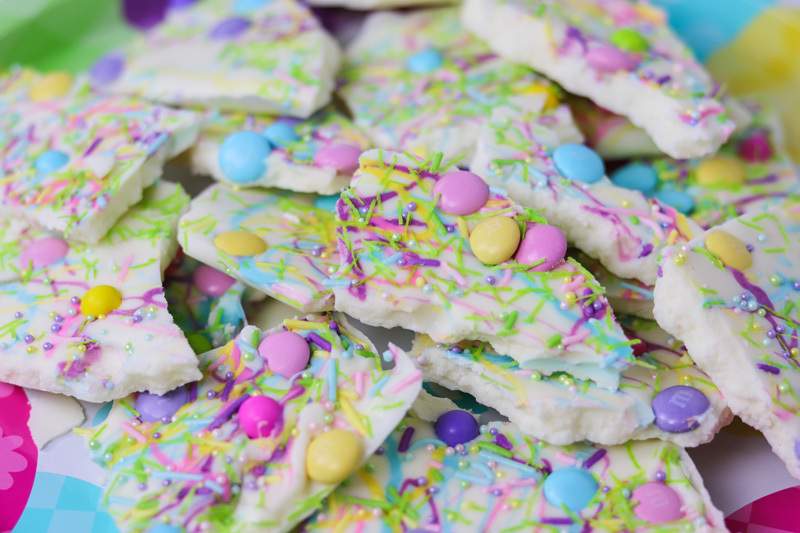 What are your favorite ways to top candy bark? Don’t forget to check out the recipes below! They are AMAZING! 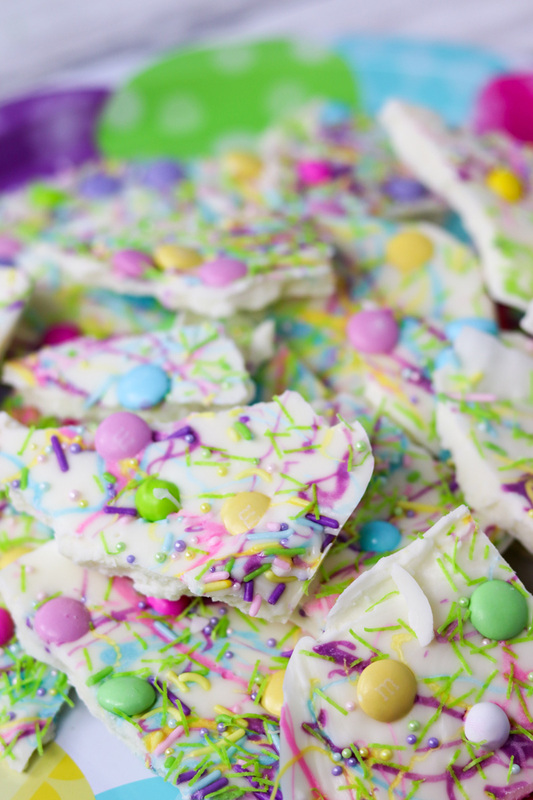 Are you ready to make your own Easter Candy Bark? Prepare a baking sheet with a lip. Put parchment paper in the bottom so everything comes out easy. 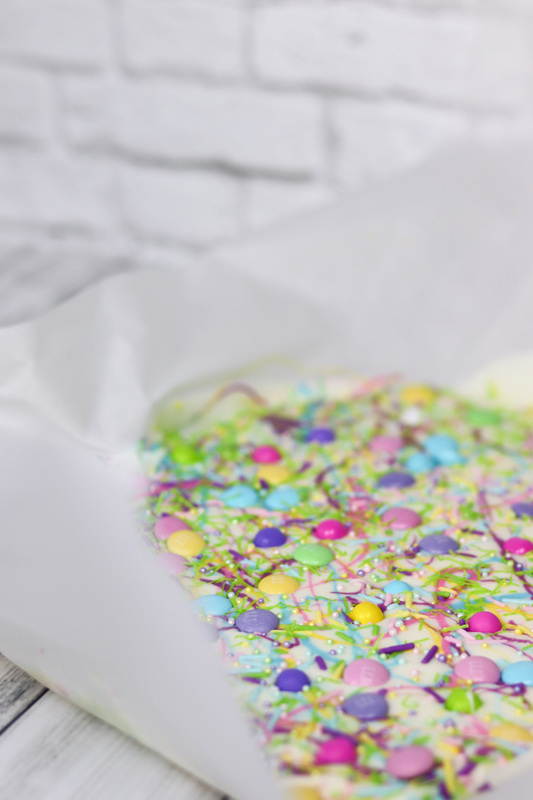 Follow the directions on the Almond Bark package for melting in a large bowl. Melt each color of Wilton Candy Melt each in a separate bowl per package directions. Pour the white almond bark on top of the parchment paper. 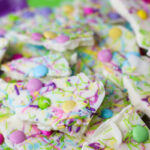 Pour and swirl each color of Wilton Candy Melt throughout using a toothpick of straw. Now add Easter candy, sprinkles or anything else your heart desires. Allow to cool for at LEAST an hour or two. 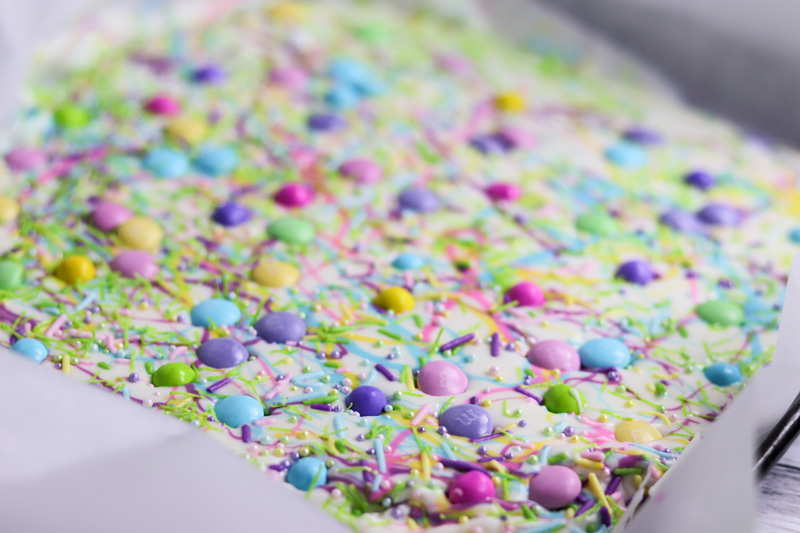 Use a mallet to break up the candy bark into different size pieces. Enjoy! 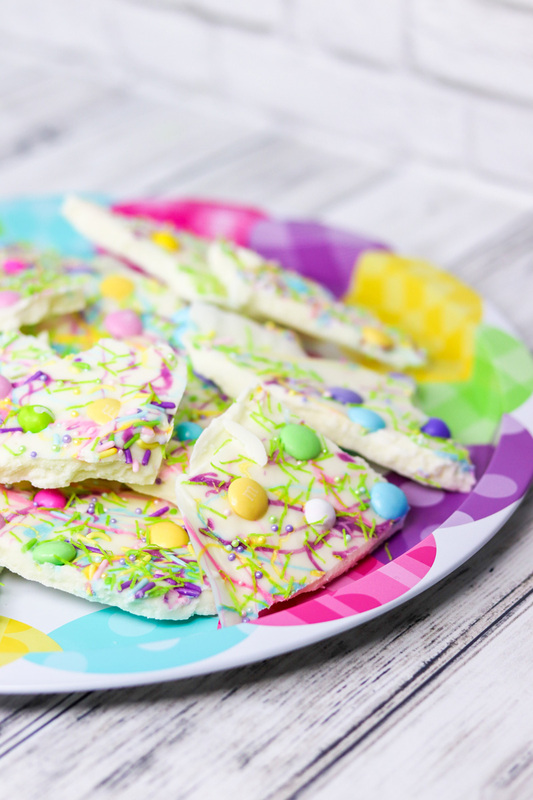 Love the Easter color palette in this yummy treat. Perfection! Just looking at those photos makes me smile and feel like Spring is truly here.